We invite you to browse our web site to learn about our various County offices and the services Hayes County, Nebraska offers its citizens. Courthouse hours are from 8:00 - 4:00 Monday - Friday except on holidays. 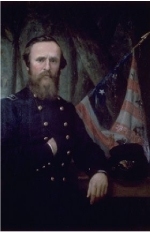 HAYES COUNTY is named for Rutherford B. Hayes, nineteenth president of the United States. Born in 1822 Hayes studied at Harvard Law School and returned to his native Ohio, where he involved himself in Republican politics. As a Civil War volunteer he rose rapidly to the rank of brigadier general and in 1864 won a seat in the U.S. House of Representatives without leaving service in the field. Three years later Hayes was elected governor of Ohio, where he became a national figure. In 1876 he won his party’s nomination for president. In an extremely close contest his margin of victory in the Electoral College was one vote. President Hayes tried to reform the civil service but met with limited success. Known for his principles, Hayes kept his campaign promise of serving a single term and did not seek reelection, though he was very popular. He spent his remaining years in education and humanitarian pursuits. The state legislature defined the boundaries and named Hayes County in 1877, though the county was not organized until 1884.